Like whenever a new products enter in the market experts do criticize it. In the same way, electric rickshaws also face with some initial criticism when it first arrived in the market. Basically, the question on everyone’s head is about its effectiveness and how much it is efficient. It only continued till when all the roads of the country are filled with these e-rickshaws. As the Chinese traders were supplying the e-rickshaws at a very cheap rate so many people choose this to be an occupation. But with the course of time, the users faced breakdowns, poorly built quality, not serviced properly, spare parts were not available. The importers did not face the problem directly but the retailers’ on the other hand had to deal with the consequences. The customers got agitated as well as the safety issue became the prior concern at that time. Even, there were many cities that totally stopped plying these vehicles on the streets. While because of the above reasons importing e-rickshaws from the Chinese dealers totally got stopped. But the prospect of plying e- rickshaw is still awake in the minds of people. This was the time when e-rickshaw manufacturers in India emerged. These manufacturers provided more opportunities to the local supplier and also better service benefits from the Chinese traders. 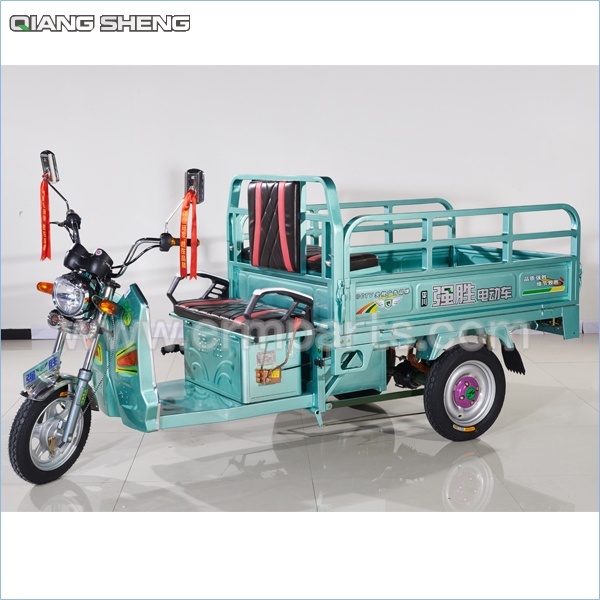 The models of the e-rickshaws are unique and also many new techniques have been installed in the rickshaws. Also, the local fleets got a much better opportunity to update their business in a better way. But that was not enough as still the electric rickshaw suppliers trying to induce some more technology to help the electric rickshaws run effectively. Although no doubt these rickshaws which are manufactured in India are much user friendly compared to the Chinese ones. Moreover, it is much a stable future public transport in India. Eco–Friendly – Obviously auto mobiles make our life easier but it also responsible to spread so tremendous pollution all over the country. So, e-rickshaws could be a good substitute for this as they don’t emit any harmful gases. Moreover, as they run through batteries so it is easy to recharge them at regular intervals. Safety – Vehicles and safety are related to each other, though there is still a risk to meet accidents in conventional vehicles. But to a greater extent, you can get believe in e- rickshaw as they are much safer. Cost – As they are battery driven so they are not much costlier. Also, the cost of maintaining the vehicle is also less compared to other vehicles. Recycle – A very important advantage of this vehicle is that the battery on which it runs can be recycled after certain intervals.So, looking into the benefits one can easily say that not only this business but also e-rickshaw will prove to be successful to replace the existing auto rickshaws.